As one of the world’s top holiday destinations, the island is subject to a high number of misconceptions. 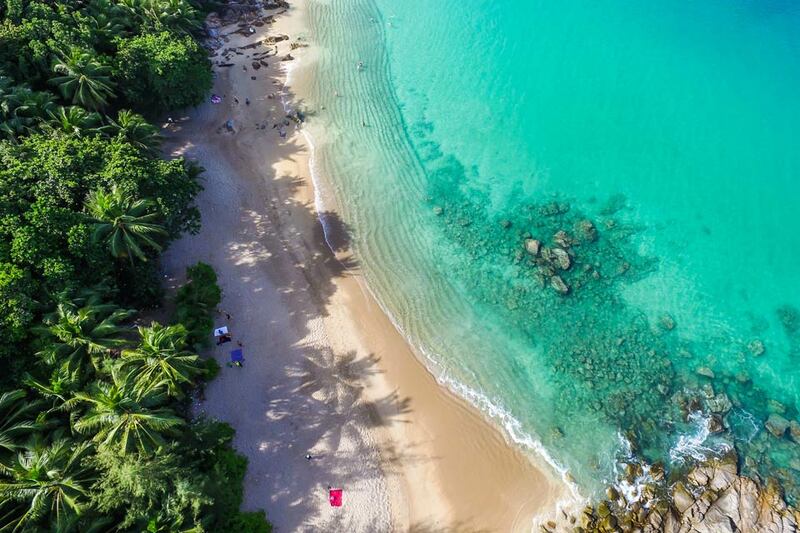 While certain neighbourhoods do get their share of crowds, most people don’t know that there are still many undisturbed areas and quiet beaches in Phuket. Whereas many of them are hidden from the public view, finding and accessing them on a private yacht charter is super easy! And trust us on this – you’ll want to allow yourself multiple days to see and indulge in all of them without rush. Panwa Beach, locally known as Khao Kad Beach, is one of Phuket’s quietest and least explored. This tranquil beauty is set on Phuket’s east coast, about 8 kilometers away from Phuket Town. Luxury hotels, villas and condominiums have been on the rise in Panwa area, yet the beach is still completely preserved. 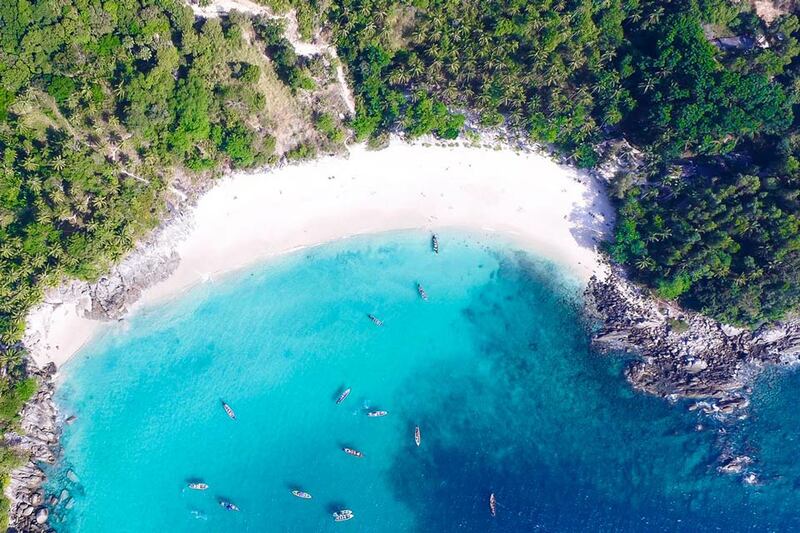 Although rough sands and shallow waters make swimming at Panwa hard, the fact contributes to its peacefulness and keeps herds of tourists away. With its unique Thai charm and delightful views of Chalong Bay and Lone Island, Panwa Beach promises to be one of the highlights of your cruise. Nestled south of Cape Panwa, Ao Yon is a restful residential beach known among locals. Ao Yon has two parts that are separated by a rocky cape; one of them features a big shrimp farm, and behind the beach there is a waterfall. Like Panwa, Ao Yon Beach offers wonderful panoramic views of Chalong Bay and Lone Island. 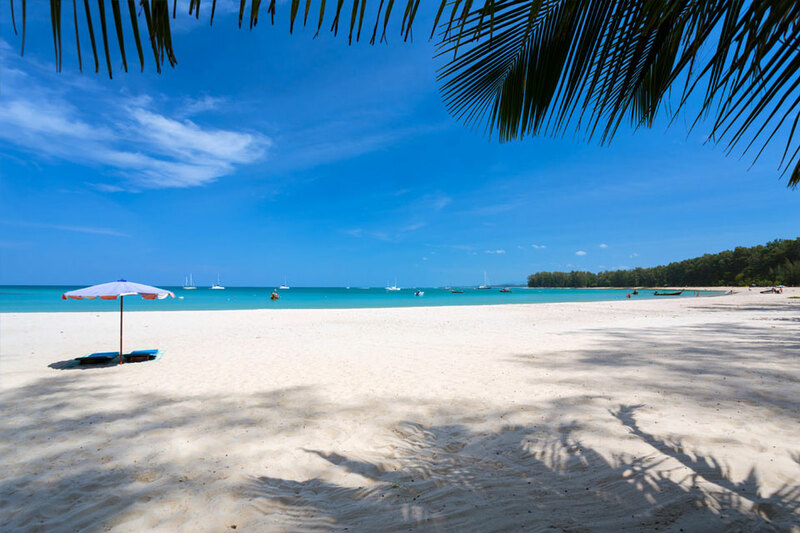 The beach itself is regarded a dreamy site: coconut trees provide a scenic shaded backdrop against fine white sands and turquoise water hues… This beach is one of our favourite quiet beaches in Phuket and simply is a must-see. Laem Ka is a sheltered beach located in the south of Phuket near Rawai. A place out of sight and off the beaten path, it is one of the locals’ favorites. Blessed with deep shades, this 150-meter long beach is great for relaxing, walking, reading or having a picnic. 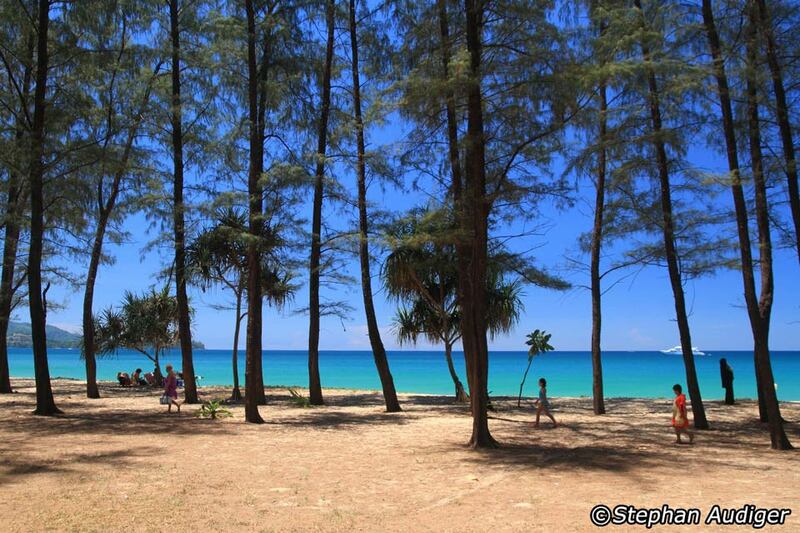 Laem Ka Beach is the only eastern-facing beach in Phuket’s south that is swimmable. This is particularly true for its northern end, however even the rocky south end is great for swimming and snorkeling during the high tide. This is yet another corner of Phuket that will gift you with mind-blowing sights of the sea and the surrounding islands. 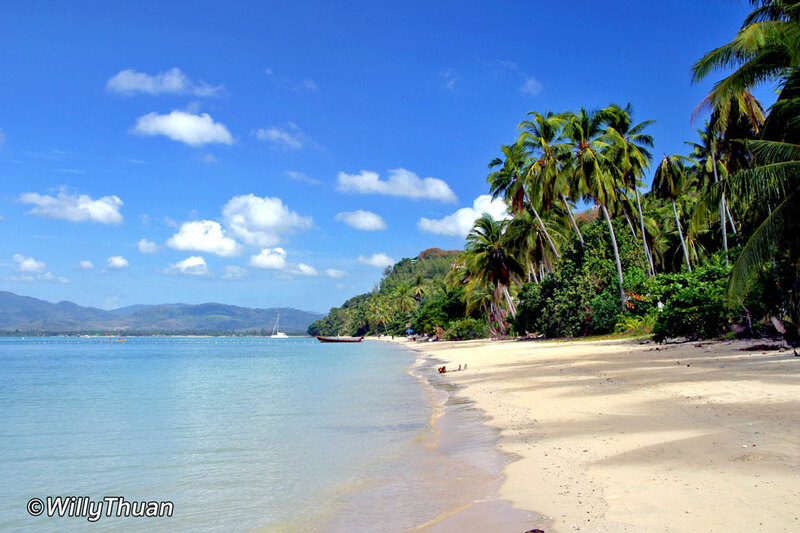 Ao Sane Beach, situated in the southwest of Phuket, is perfect for diving and snorkeling even during the low season. It consists of three smaller beaches connected by short paths and split by rocky headlands. About 200 meters long, Ao Sane features rocks and corals close to the shore. Moreover, there are many trees that provide shaded areas and cool air during the hottest afternoon hours. Best of all: not many travelers know about Ao Sane Beach because of its concealed location, so it tends to offer peace and quiet. Freedom Beach is only a few minutes away from crowded Patong but it might as well belong to a different universe. Hidden from the public view, this natural oasis is guarded by a very steep slope leading to it. 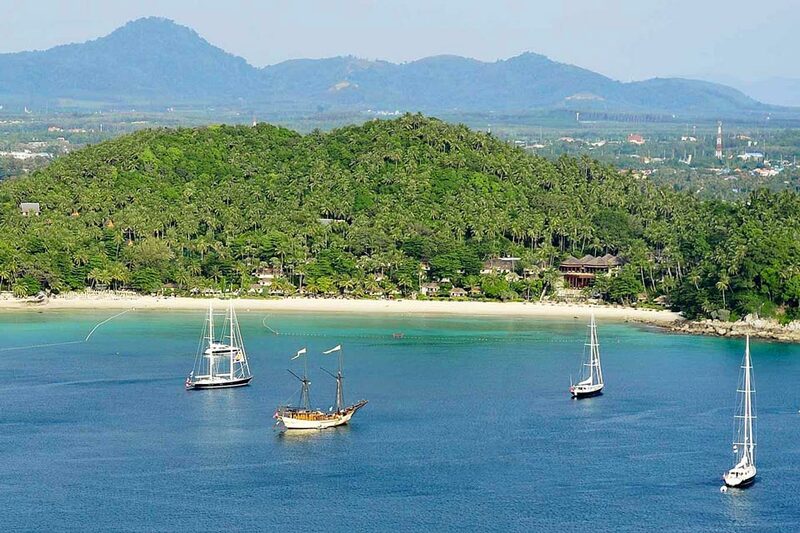 Most visitors get to Freedom Beach by renting overpriced long tail boats, therefore your yacht trip is a perfect opportunity to visit this paradise. 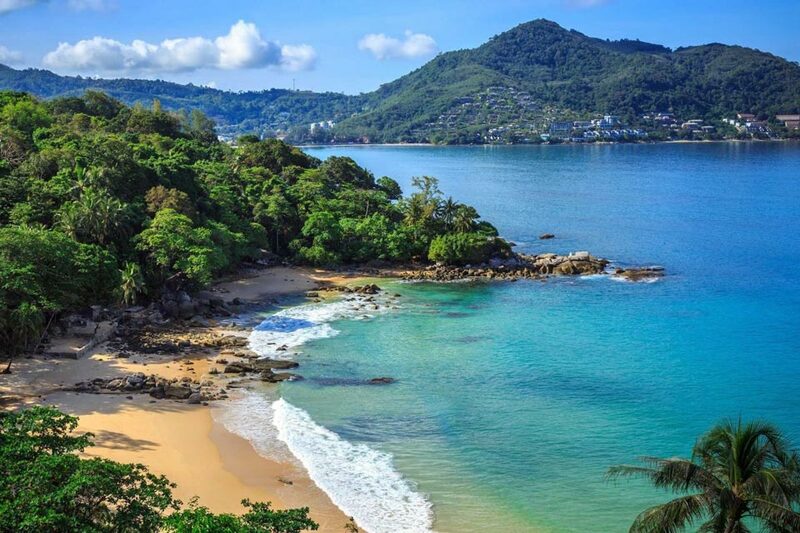 With its intact breath-taking nature, Freedom Beach depicts what Phuket was like several decades ago. It is great for snorkeling and you can also try your hand at team sports like beach soccer and volleyball. Similarly to Freedom Beach, the way to Laem Singh Beach includes going down a steep hill – or so it was until the beach got closed for public earlier this year. Nowadays this hidden little bay is accessible only by boat, adding to it another layer of exclusivity. 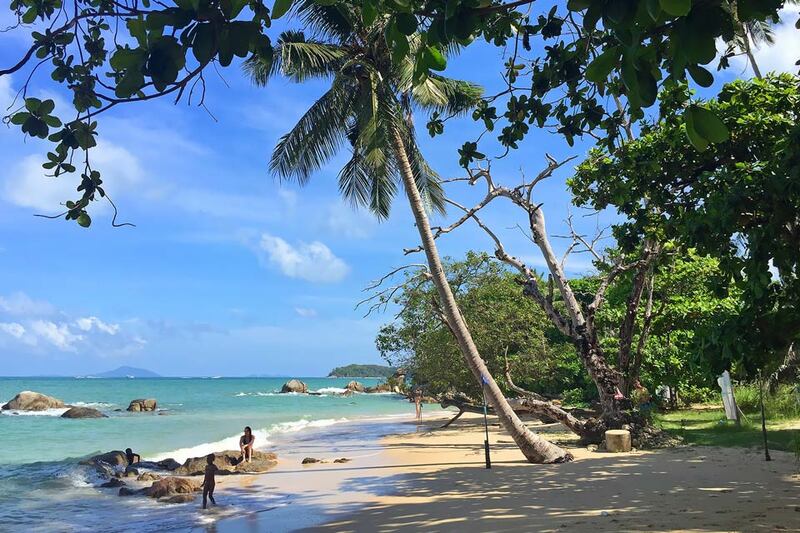 One of the most beautiful quiet beaches in Phuket, Laem Sing Beach is set on the west coast between Kamala and Surin. The beach is 150-meters long, fringed with palm trees and graced with large rocks. Enjoy its absolute peace and quiet from your yacht and take pleasure in water activities like swimming and snorkeling. Opposite to its neighbour Surin, Pansea Beach is much more peaceful. The seclusion is a result of 2 luxury hotels sharing its territory with no public path. It is almost impossible to access this wide beautiful beach by land other than book a room at either The Surin or Amanpuri Resort. Coming here by a private yacht is a way out. Anchor in the stunning bay, snorkel at either end of it, step on the long fine-sanded beach, and head to one of the resorts for a sundowner, or dinner. Unlike most other less-known beaches in Phuket, Layan is quite long. It is a part of a 6-kilometer long beach on the west coast that is called Bang Tao on the southern and Layan on the northern end. Layan Beach boasts calm waters and many shaded areas suitable for relaxing; there is also Sirinat National Park nearby. The beach is sheltered by a small island called Koh Kala at its far northern end. This beach, mostly visited by locals and expats, is fantastic for swimming, water sports, and just hanging out with family and friends. Banana Beach is one of Phuket’s best-kept secrets. It is a 180-meter long strip of sand located between Bang Tao and Nai Thon. It is another gorgeous fine-sanded clear-watered beach that isn’t known to many people, even though it’s become more popular among tourists in the recent years. Banana Beach is a children- and family-friendly site perfect for swimming and snorkeling, especially at either of its ends. Include it in your private charter itinerary and find out what authentic tropical experiences are all about. Nai Yang Beach on Phuket’s northwest coast is not the quietest in terms of the onshore life but definitely one of the calmest to stay on anchor in the high season from November until April. 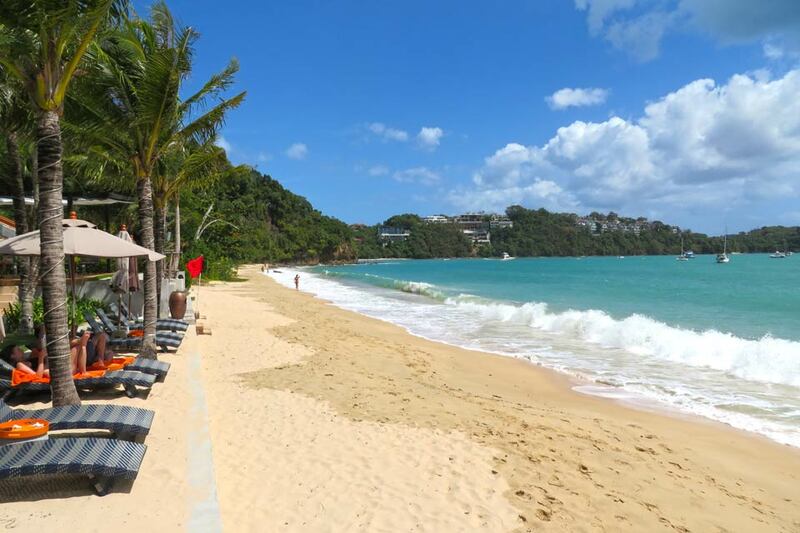 There is a bit of everything on this cosy beach: little Thai restaurants and bars, fine dining by the luxury The Slate and Phuket Marriott Nai Yang Resort, a couple of shops, all nicely fringed by casuarina trees away from the main road. 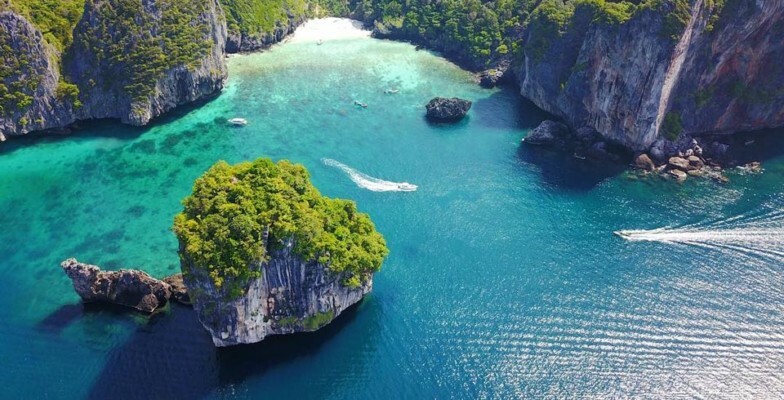 Now that you know what quiet beaches in Phuket must be on your cruising itinerary it’s time to choose a yacht for your beach hopping adventure. Or just drop us a line with your details, and we’ll get back to you shortly. Happy sailing!